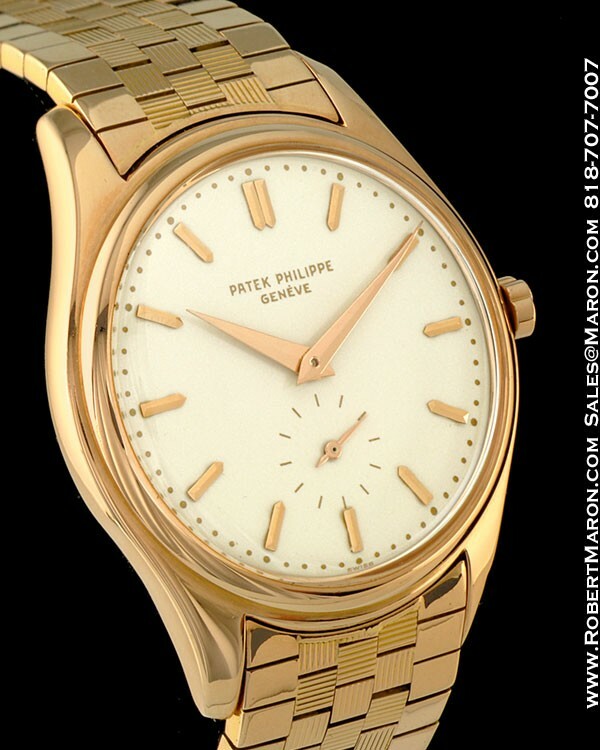 This vintage Patek Philippe is as beautiful as it is important: the reference 2526 contained Patek's first automatic winding movement - the Caliber 600 AT. History is important, and while the importance of this wristwatch will impress collectors, its looks will impress you and everyone else. 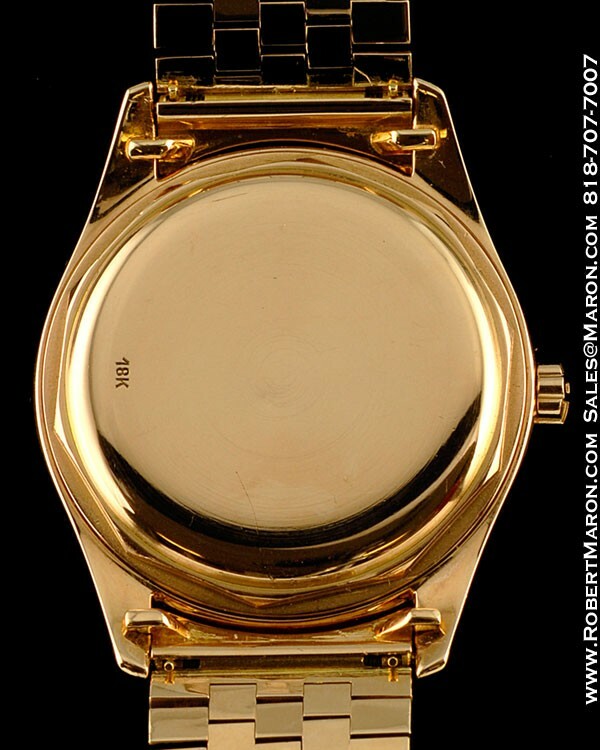 This 18k rose gold case measures 36mm in diameter by 12mm thick. The crystal is domed and this watch also features a massive screwback, which add up to a nicely sized watch by modern standards (and oversized when it was introduced). 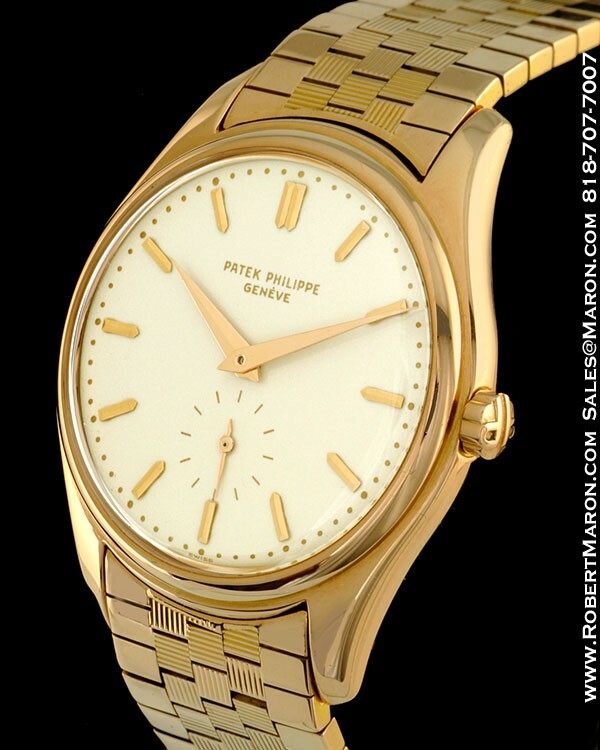 The original textured 18k rose gold bracelet also adds to the impressiveness of this beautiful vintage Patek. The reference 2526 was introduced in 1953, and it is believed that fewer than 600 reference 2526s were ever produced. This example appears to be a third series piece, and one of only a very few with this original textured bracelet. The original enamel dial is cream colored with applied rose gold markers, subsidiary seconds dial and beautiful dauphine hands. 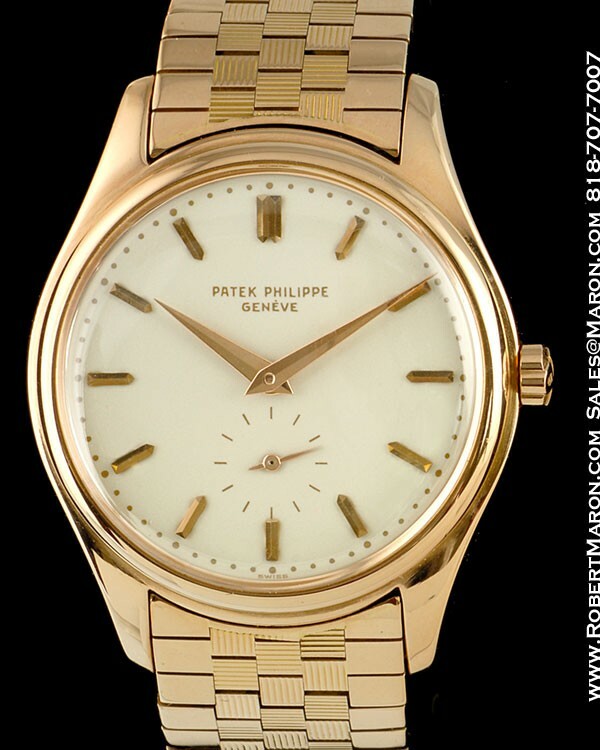 Again, the reference 2526 contains Patek Philippe's first automatic winding movement, the Caliber 600 AT with 30 jewels, self-compensating Breguet balance spring, adjusted to 5 positions and temperature, gold winding rotor with hand guilloche and stamped with the Geneva Seal. Condition of the watch is mint plus. 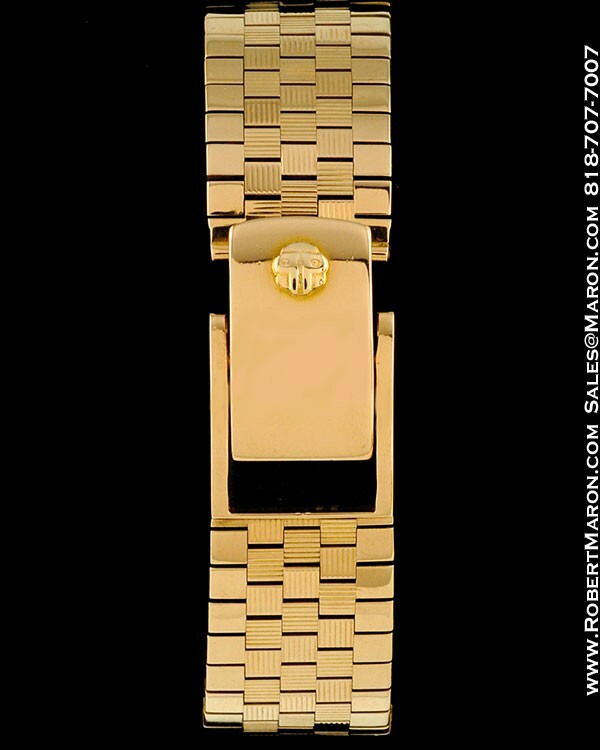 Our high definition pictures, as good as they are, do not do this watch justice.